Are you a small business owner in the market for a new Ford? Glenwood Springs Ford is excited to let you know that if you purchase a new Ford vehicle by December 31st of this year, you may qualify for a 2016 tax deduction for your small business. Get all the details by reading on! Basically, if you’re a small business owner, then Ford has arranged for you to be able to take advantage of a range of tax benefits if you buy your new Ford before the 31st of this month. Depending on which vehicle you choose, you’ll be able to claim up to $11,650 in tax benefits, and in some cases as much as 100% of the purchase cost! The 2016 Transit: Purchasers of the Transit may be able to deduct up to 100% of the purchase cost in the first year. The 2016 Super Duty: Purchasers of the Super Duty may be able to deduct up to 100% of the purchase cost in the first year. The 2016 F-150: Purchasers of the F-150 may be able to deduct up to 100% of the purchase cost in the first year. The 2016 Transit Connect Van: Purchasers of the Transit Connect Van may be able to deduct up to $11,560 of the purchase cost in the first year. The 2016 Transit Connect Passenger Wagon: Purchasers of the Super Duty may be able to deduct up to $11,560 of the purchase cost in the first year. Q: What is IRS Section 179? How can it help my bottom line? A: Section 179 is the current IRS tax code that allows you to buy qualifying Ford vehicles and deduct up to the full purchase price (including any amount financed) from your gross taxable income if purchased before December 31, 2016. That means that if you buy a piece of qualifying equipment and products, you may be able to write off up to the FULL PURCHASE PRICE from your gross taxable income this year! Q: Does the date of my purchase have an impact on the Section 179 deduction? A: Yes. To qualify for the Section 179 tax deduction for the 2016 tax year, your Ford vehicle must be purchased or leased and placed into service by December 31, 2016. Q: Which vehicles qualify for the greatest IRS tax savings? A: Trucks with a GVWR greater than 6,000 pounds, and a bed length of at least six feet (i.e. 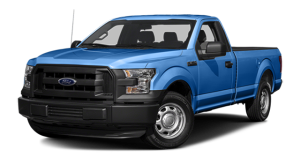 Ford F-150/F-250/F-350) qualify for the maximum first-year depreciation deduction of up to the FULL PURCHASE PRICE. SUVs, including trucks, with a bed length of less than six feet and a GVWR greater than 6,000 pounds (i.e. Ford F-150 SuperCrew 5 ½ ft. bed, Explorer, Expedition) qualify for a maximum first-year depreciation deduction of up to the first $25,000 of the full purchase price plus 60% depreciation of any remaining balance. Q: What about smaller trucks/vans/SUVs? A: Vehicles of less than 6,000 pounds GVWR (built on a truck chassis), such as the Transit Connect, may still qualify under current bonus depreciation for up to $11,560 per vehicle in the first year. Passengers automobiles under 6,000 pounds GVWR may also qualify for up to $11,160 in depreciation. If you’re interested in learning even more about this thrilling new deal, we urge you to contact Glenwood Springs Ford today. We’ll fill you in on all the details, and we’ll even let you take any of our available cars out for a spin while you’re at it. Located at 55 Storm King Road in Glenwood Springs, we can also be reached by phone at 970-945-2317 or via this easy-to-complete online form, too. We look forward to hearing from you today at Glenwood Springs Ford!